Abundant, nutritious, adorable, symbolic, and disliked by lawn-owners, this invasive plant offers a model of eating and thinking about human and interspecies well-being on a variety of levels. 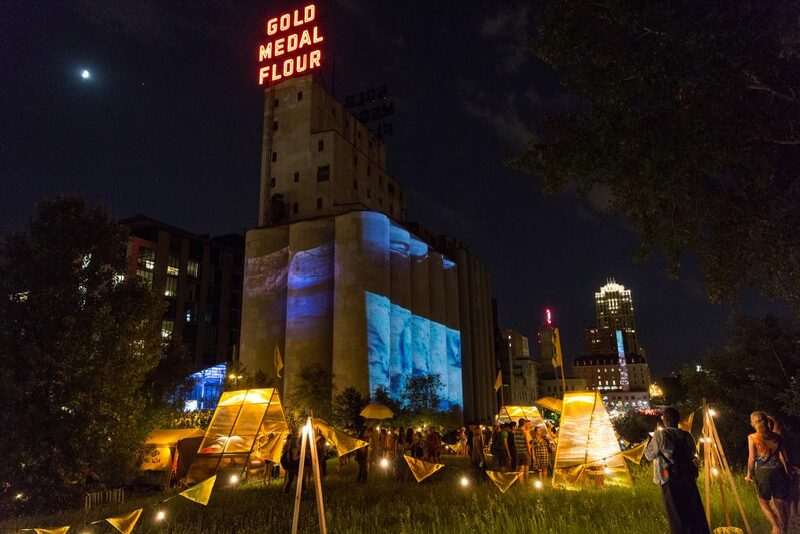 Making the Best of It: Dandelion was a year-long series of site-specific pop-up food refuges and community dinners that spanned Northern Spark 2016-2017. 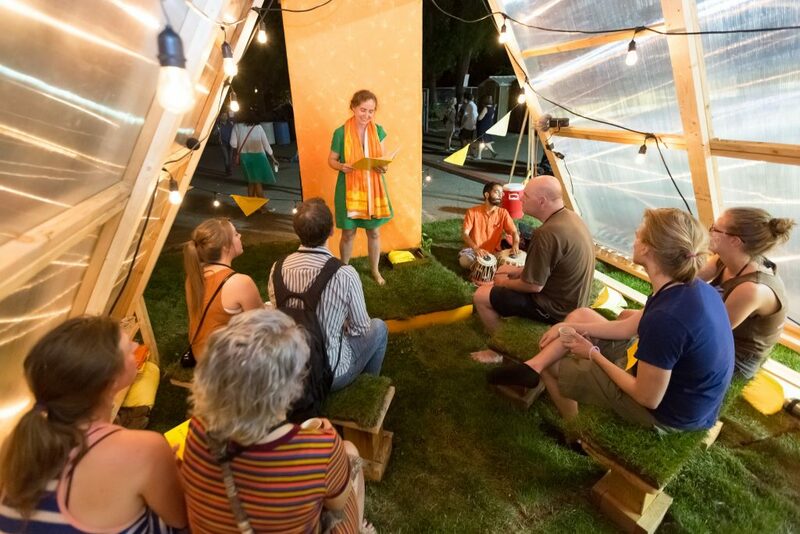 The project featured climate-change enabled (and often unwanted) edible indicator species, in order to engage the public in tastings and conversation about the risks of climate chaos, our business-as-usual food system, and the short-term food innovations at our disposal. 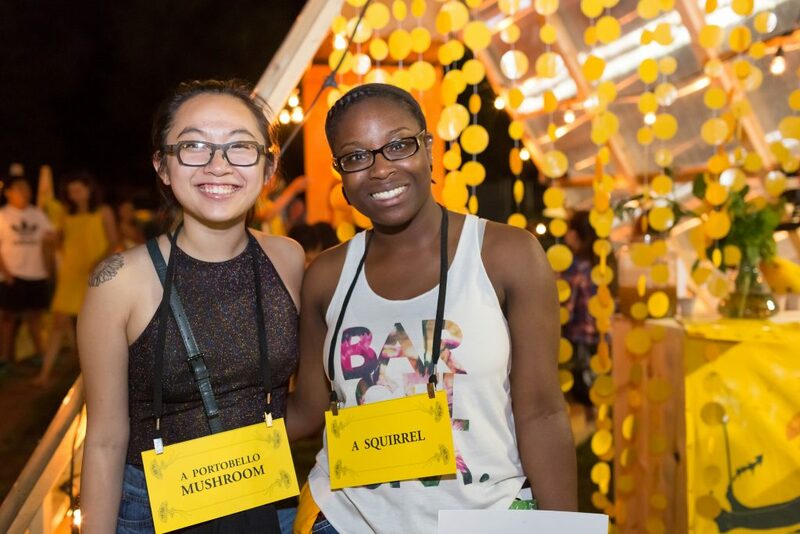 At Northern Spark 2016, a custom pop-up “refuge” offered free servings of dandelion, in food and beverage forms, and also a graphical system of information, provocations, and recipes. 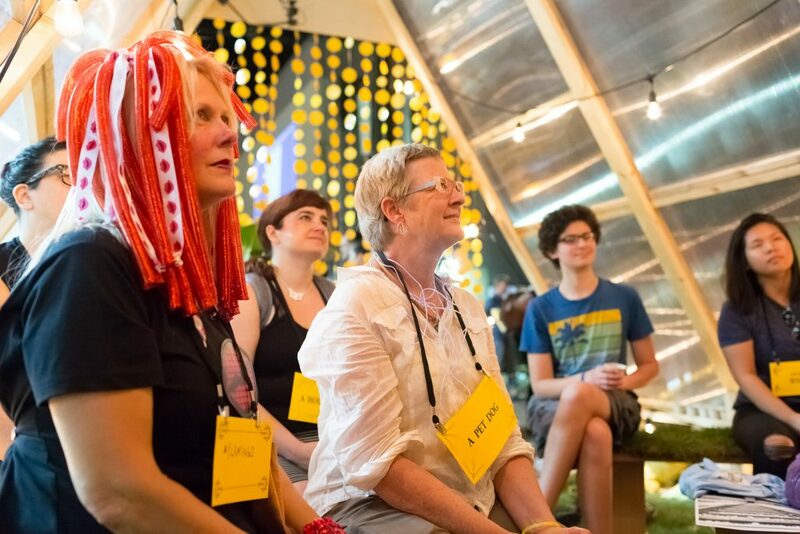 At Northern Spark 2017, the MTBOI team created a ritual festivity that invited participants to become more dandelion. 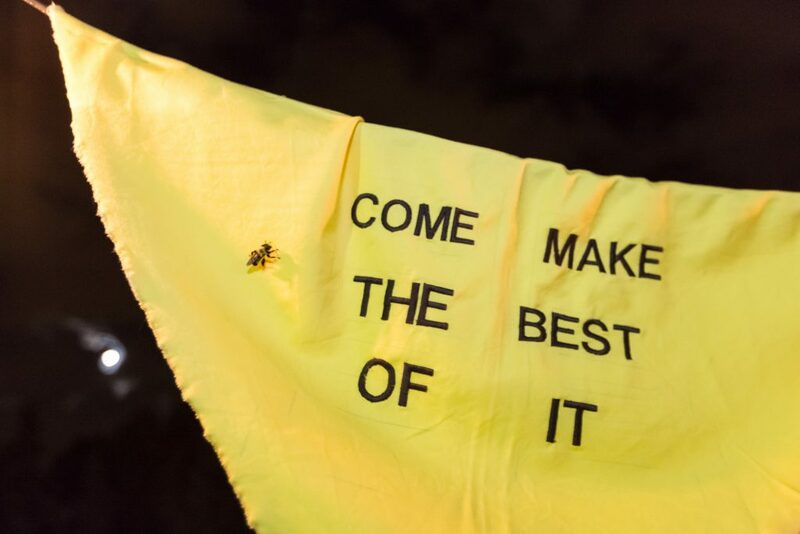 From trans-species oration to cow eulogies to intimate ocean tributes, they hosted a communal service compressed into the space of a toast – to how all of us are making the best of it, now and in the future. Valentine Cadieux is an artist and scientist who works on the ways that people participate in agroecosystems. She chairs the Twin Cities Agricultural Land Trust and directs the Environmental Studies and Sustainability programs at Hamline University, where she also coordinates a food movement learning collaboration. 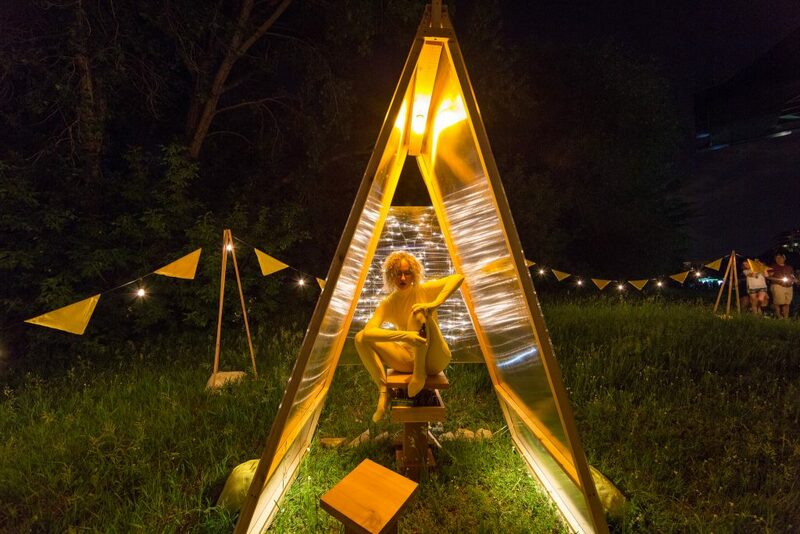 Marina Zurkow focuses on near-impossible nature / culture intersections, using life science, materials, and technologies to foster intimate connections between people and non-human agents. Zurkow is a 2011 Guggenheim Fellow, and has received awards from NYFA, NYSCA, the Rockefeller Foundation, and Creative Capital. She is on faculty at ITP / Tisch School of the Arts, and is represented by bitforms gallery. Aaron Marx is an artist/architect focused on critically engaged and humanist work at the intersection of art and science. 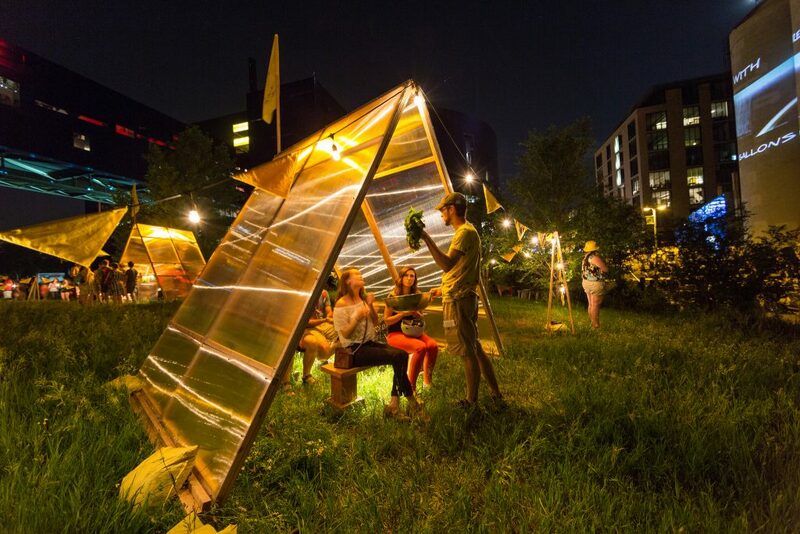 He is experienced in cross disciplinary approaches to art, building, and practice; principal interests include digital tools, public art (the commons), social practice, and design solutions embedded in human value and environmental integrity. Sarah Petersen produces signs and signals for social space. She currently teaches at the Minneapolis College of Art and Design, and is a Fellow in the Office of Sustainability at Hamline University. Her work has recently been published in X-TRA Contemporary Art Quarterly and shown at Occidental College, Perform Chinatown, and Honor Fraser Gallery, all in Los Angeles. Michelle from Fortune Cookie Factory, Keefer Court Food, Inc.